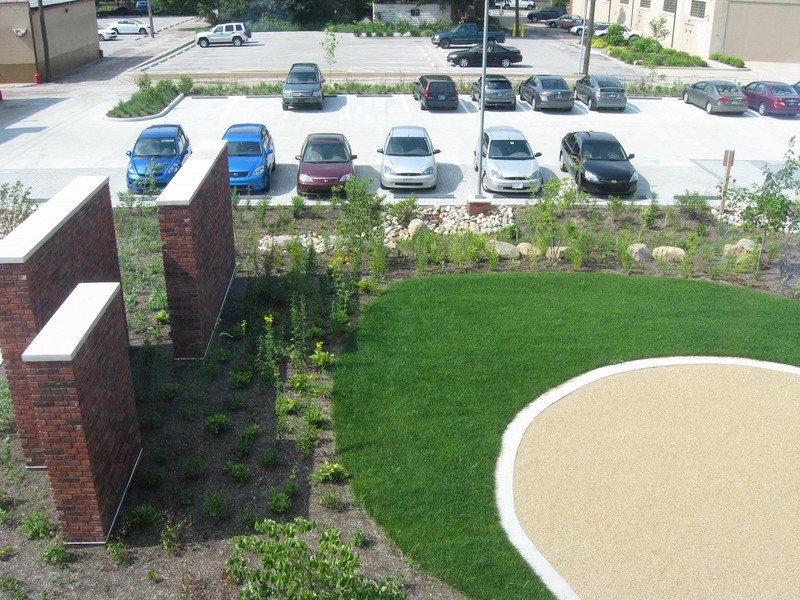 Elements Engineering collaborated with Rundell Ernstberger and EMH&T to prepare the design of the green infrastructure site features for The Nature Conservancy project. The site is located in Downtown Indianapolis at 620 E. Ohio Street. The urban redevelopment project is located within a combined sewer area. 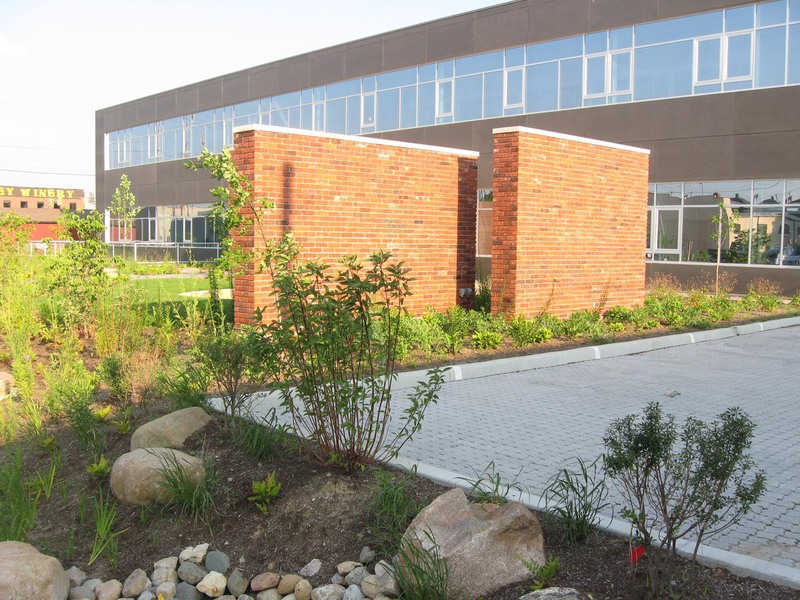 Some of the site features included in the project are: porous pavers, bio-retention and underground retention storage as well as rain water harvesting from the green roof. The site is a zero stormwater discharge site. This is because the stormwater system for the site is not connected to the existing combined sewer system since the soils have the capacity to infiltrate the on-site stormwater. The building has a green roof and rain water collection cistern which connect to the site stormwater system. Any excess runoff not reused by the cistern overflows into the site stormwater system for infiltration. Native plants were used extensively on site to mimic the bio-regions that The Nature Conservancy serves throughout the state of Indiana. The project was completed in 2010 and won the 2010 Office of Sustainability Award (in the Water category) and won in several categories of The Monumental Affair Award in 2010.